During your stay in Charleston, why not make a day out and visit one of the homes & gardens in the Area. Charles Town Landing Historic Site, Drayton Hall, Magnolia Plantation and Middleton Place are all located along the Ashley River. In addition, just north of Charleston, is Boone Hall Plantation and Charles Pinkney National Historic Site at Snee Farm. Charles Towne Landing State Historic Site is the original location where a group of English settlers landed in 1670 and established what would become the birthplace of the Carolina colony. Attractions include Charleston’s only 17th-century replica sailing ship. There are interactive tours in the visitor centre showcasing the settling and establishment of Charleston. You can also see otters, bears, bison and more at the Animal Forest natural habitat zoo. The grounds also include 80 acres of gardens, with an elegant live oak alley and the Legare-Waring House. Find out more on their web site. Charles Pinckney (1757-1824) is most noted for his role as a drafter and signer of the U.S. Constitution. He served at every level of government including four terms as South Carolina Governor and Ambassador to Spain under President Thomas Jefferson. The Charles Pinkney National Historic Site is a 28-acre portion of Charles Pinckney’s original Snee Farm, a rice and indigo plantation. The 1828 Lowcountry coastal cottage serves as a museum and visitor centre. Park grounds boast ornamental gardens and towering canopies of live oak and Spanish moss. Exhibits tell the story of Charles Pinckney and his contributions to the U.S. Constitution, of the United States as a young and emerging nation, and of 18th century plantation life for free and enslaved people through the history of Snee Farm inhabitants. 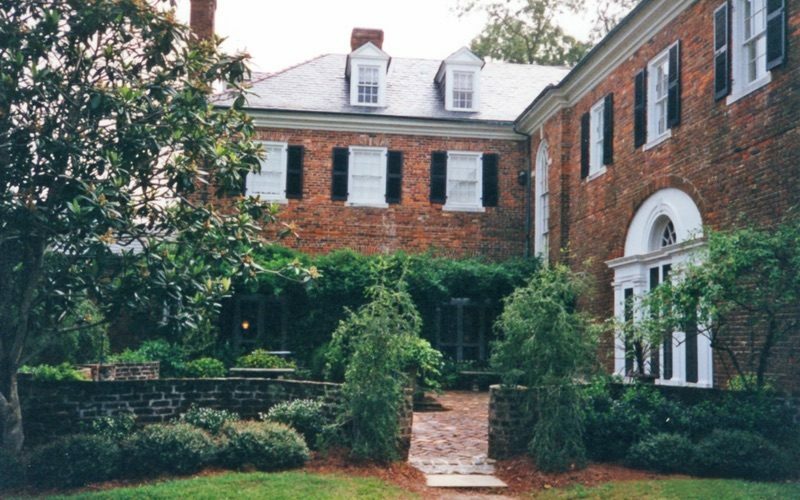 Situated along a short stretch of the Ashley River Road around 20 minutes from Downtown Charleston there are three historic homes & gardens that you can visit. Drayton Hall, Magnolia Plantation and Middleton Place are all within a few minutes drive of each other along the Ashley River Road. Built around 1750, Drayton Hall is believed to be the earliest example of palladium architecture in the USA. The home has been maintained in it’s original form through the years so offers an intriguing window back in time. A new visitor centre opens in 2017 to help showcase the property and it’s history. Visit their web site for more information. 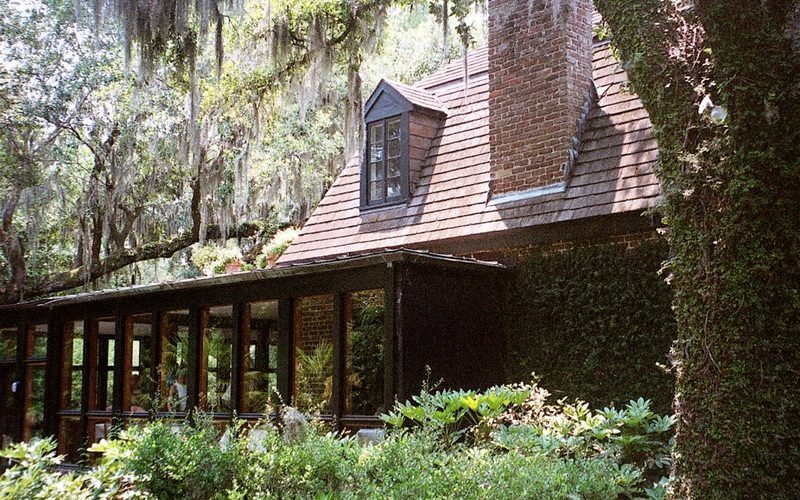 Arguably the most spectacular gardens of any historic site in the area, Magnolia Gardens, which also incorporates the Audubon Swamp Garden is a full day out for homes and gardens enthusiasts. Magnolia Plantation was founded in 1676 by the Drayton family. It has survived through centuries of conflict including the American Revolution and the Civil War. Open ed in 1870, it is the oldest public gardens in America. The current House is the third family home built on the site and has an interesting history. The core of the house was built prior to the revolutionary war in nearby Summerville, South Carolina and later floated down the Ashley River to Magnolia Plantation after the Civil War. There are guided tours of the house as well as other tours around the grounds but it is the gardens which are the jewel in Magnolias crown. A spectacular maze of flower adorned paths and ponds framed by magnificent Cypress trees. The gardens stretch right down to the Ashley River itself. In addition to the main gardens, there is the boardwalk trail at the Audubon Swamp Garden which meanders through a swamp populated by alligators and wetland birds. Find out more about Magnolia Plantation and the Audubon Swamp Garden by visiting their web site. 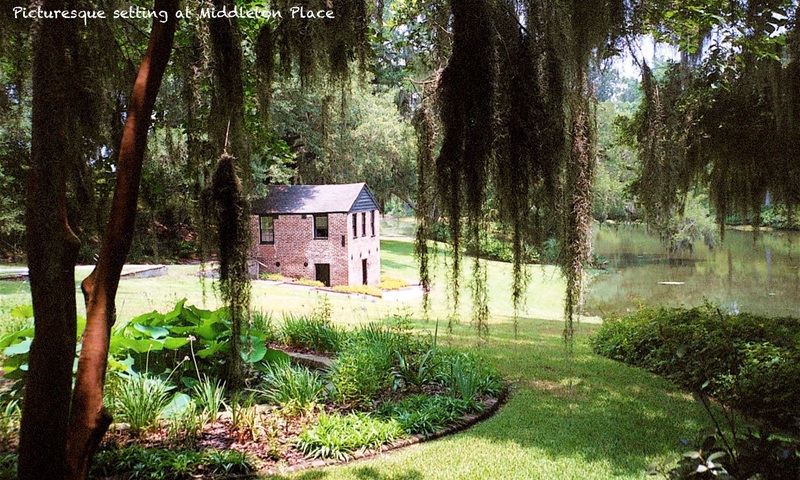 A National Historic Landmark, Middleton Place boasts the oldest landscaped gardens in America. The house was built in 1755 and has remained in the same family ownership for over 320 years. Apart from the house museum and gardens there are a number of interesting attractions including working stable yards where you will find re-enactments of traditional weaving, smithing, carpentry and more. 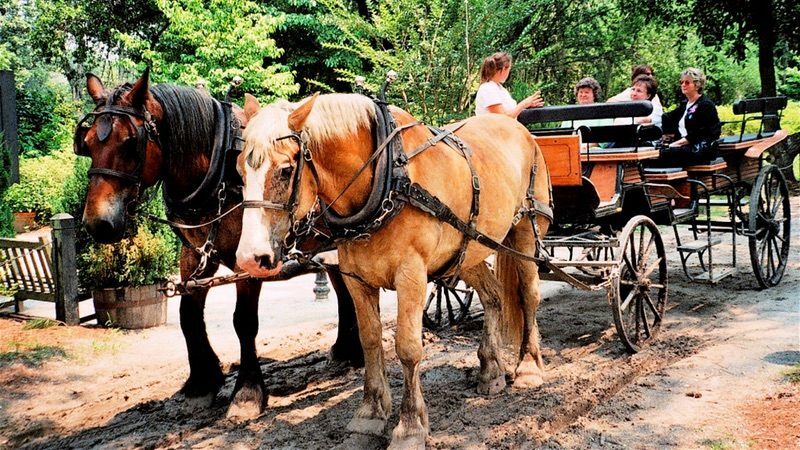 One of our favourite attractions is the 45 minute horse and carriage tour around the grounds which included an exhilarating gallop when we took the tour. Also, the set lunch at the Middleton Place Restaurant serving traditional Low Country fare is an absolute must. Visit their web site for further details. Just north of Charleston off Highway 17 is one of the top homes & gardens in the Charleston area, Boone Hall Plantation. Boone Hall is famed for it’s avenue of Live Oak trees, planted in 1743, adorning the drive into the Plantation. 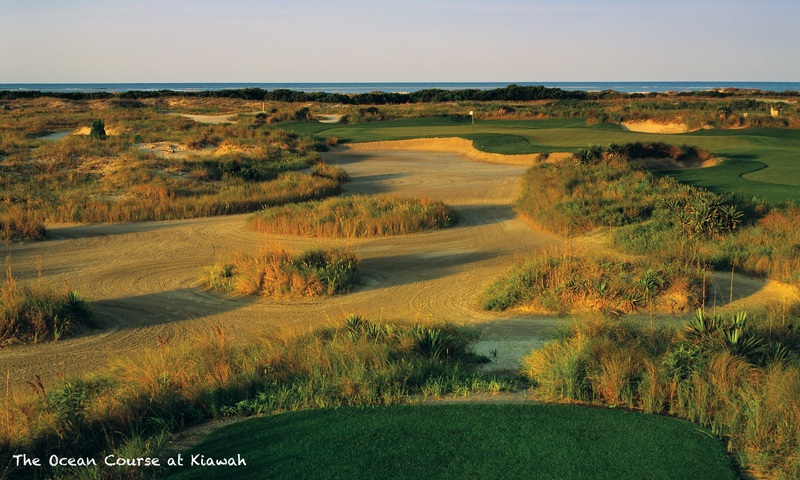 The Plantation was originally opened in 1861 by Englishman Major John Boone. The current house is the third home to sit on the property and was opened to the public in 1956 by the new owners the McRae family. Boone Hall is still a working farm and you can buy a variety of produce from them. Goods include strawberries, tomatoes, peaches, and a variety of other fruits and vegetables. You can buy direct from Boone Hall Farms Market, situated on Highway 17. There are daily house tours as well as a plantation coach tour, garden tour, butterfly pavilion and exhibits and presentations on slave history and culture.